Tell us what you think of the new VTA.org! Home>News and Media>Connect with VTA>Tell us what you think of the new VTA.org! 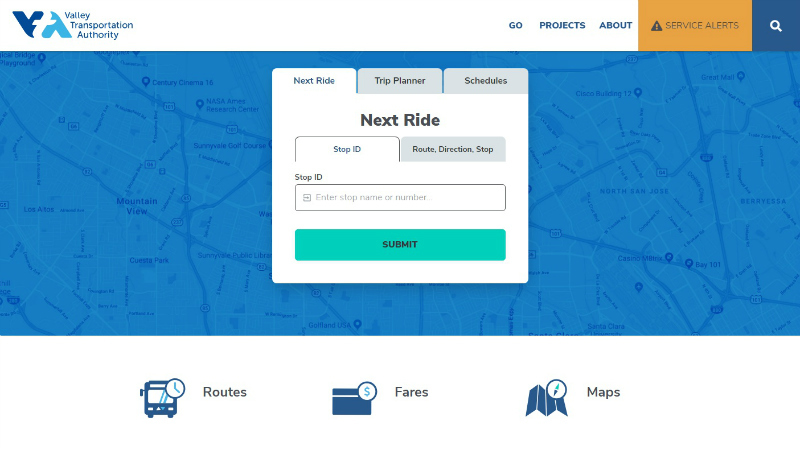 VTA has released a test, or beta, version of the redesigned VTA.org with a focus on the most-used transit features and content. In the software world, beta means the site is usable but is limited and still a work in progress. We’re seeking your feedback to help ensure the new website becomes a valuable tool for users. Please try it out at beta.vta.org, and don’t forget to complete the short survey on the site! This is just the beginning. We’ll continue to add content over the coming weeks and months. VTA.org hosts information about transit service, projects, programs, governance, employment, and more. If you’d like to stay involved, subscribe to updates as the beta site evolves. As we’re following a user-centered design process, our decisions will continue to be focused on the needs of real users—like you! This beta site, the survey and usability testing in the coming months will help us make sure the site best meets those needs. Our strategy is also data-driven. Questions, hypotheses, research, data gathering, and analysis of facts have helped us create the best design, content, and functionality. This strategy has helped us navigate through opinions and preferences to find the best design and functionality. Learn more about our user research and design process to date in this Headways post.